"Mélange gets its magnificent depth of colour from multiple coloured fibres being twisted together before the yarn is woven. But you don’t need to worry about that. You hardly need worry about how rich and intriguing the resulting cloth is, either. Why not focus instead on how divinely soft these shirts are to wear?" "Lightly brushed for softness and warmth, this herringbone shirt is as cosy as it is colourful." A herringbone weave is characterised by its distinctive reversing diagonal pattern that mimics the fishbone shape, from which comes its name. 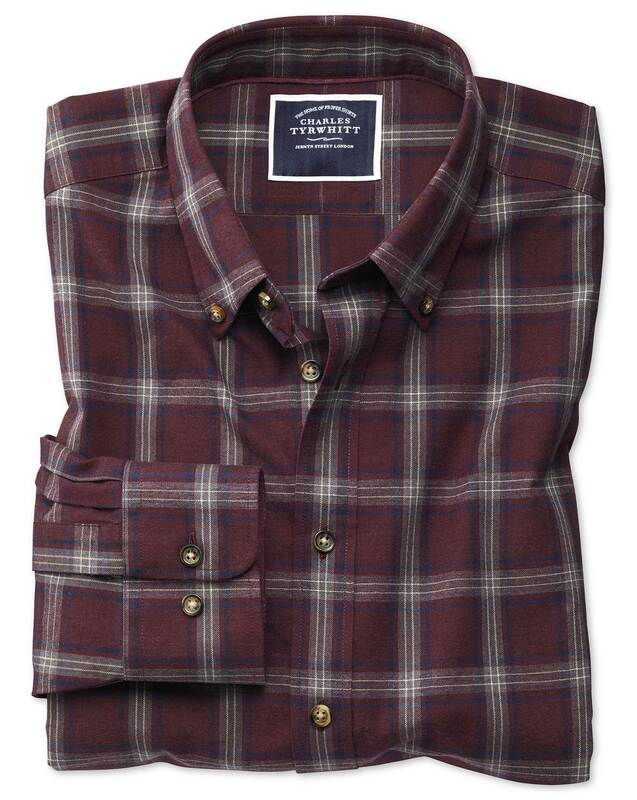 Herringbone shirts have a soft drape, durability, and a smart textured look. Perfect shirt for matching different trousers. Well made, comfortable and, Inthink, looks good.